Cookme has always been known for acknowledging the spirit of its collaborators. 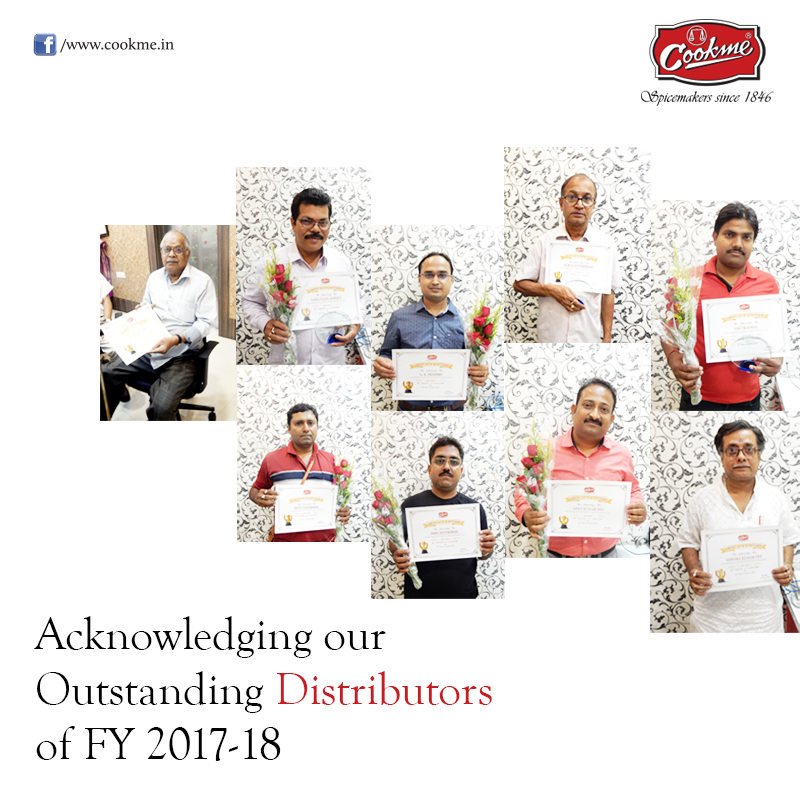 This 15th April 2018, on the auspicious occasion of Poila Boisakh, Cookme felicitates its Distributors for their outstanding performance during the Financial Year 2017 – 2018. Besides being a motivation for these performers to improve in the current year, it also is a driving force for rest of the distributors. Corporate Address: Cookme House, 235 Maharshi Debendra Road, Kolkata – 700 007, West Bengal, INDIA.